Whether or not you want to believe it, gun violence in America is heavily influenced by race. According to The Washington Post, homicide gun deaths among black Americans are five times greater than among their white counterparts. (Interestingly, white Americans are five times more likely to commit gun related suicide than black Americans.) While it may be easier and more comfortable to brush off the recent news coverage of police brutality and black deaths as something sensationalized by the media, the truth of the matter is that for black Americans homicide is the eighth most common cause of death. For other minority groups and white Americans, homicide doesn’t even make it onto the list of top ten leading causes. The recent shooting in Charleston, South Carolina is just another example of the racism woven into the fiber of our country. On June 17, ten people were shot and killed at Emanuel African Methodist Episcopal Church during a Bible study session. When we live in a place where sacred spaces are no longer safe, where black men and women feel threatened when walking down the street, or encountering police officers, or simply within their own homes, it’s naïve to think our country has recovered from the sins of our past. For people like myself who benefit from the privilege of a light skin color, the amount of fear and mourning experienced by the black community was never realized until recently. If we as social workers fight for reproductive rights, we must first fight to combat forces that cause the dampening of those rights. To do anything else would mean abandoning our role as agents of change and instead allowing discrimination to continue. While racism in America runs deep, it is our responsibility to stand for the rights of all at every level of practice. As an organization for women of color, SisterSong saw the inherent connection between the injustices they faced and reproductive rights. This intersectional approach calls for conditions in which parents can raise their children in healthy and safe environments, where mothers do not fear their children will become a target of violence due to prejudice. One professor of mine told a story of a black adolescent who attended a summer camp in Detroit and was stopped by the police after wandering off. Luckily, nothing bad happened during their encounter, however, he told my professor it was good he had his camp shirt on, otherwise the police might have given him a hard time. We should not live in a society that disenfranchises an entire population by requiring them to legitimize themselves through alliance with a white sanctioned person or thing. Black parents should not have to teach their young children how to avoid police brutality or discrimination from others. It simply should not happen. Reproductive justice cannot be achieved if hundreds of years of injustices are allowed to continue and parents fear for the lives of their children the moment they are born. Elizabeth Borngraber is a graduate student in the University at Buffalo School of Social Work in New York state whose studies and interests are focused around women’s health and rights, healthcare access, and policy. Our three-part webinar series in the month of March was a huge success! Many thanks to all the incredible social workers and other professionals from across the U.S. who attended! Weren’t able to attend? Not to worry! You can stream them here on our webpage when it’s convenient for you! Just click on the ‘webinar series’ tab above. 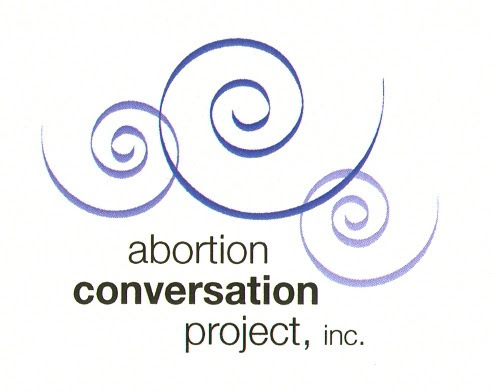 Special Thanks to the Abortion Conversation Project for their support throughout this project! These webinars were developed by Social Workers for Reproductive Justice with support from the Abortion Conversation Project. Find us on Twitter or Facebook for updates! Webinar One: The Role of Social Workers in Issues of Reproductive Health — Watch the recording of this webinar by clicking here! The NASW Code of Ethics requires social workers to respect a client’s right to self-determination, including making individual health decisions. In addition, the NASW Policy Statement on Family Planning and Reproductive Health states that social work as a profession supports clients’ rights to choose how, when and if to reproduce and raise a family through access to family planning services, including abortion. Gretchen Ely, PhD, will outline her research findings regarding the need for more education and training surrounding issues of reproductive health among social work students. Both Ely and Dr. Melanie Otis will discuss the importance of infusing these skills into social work practice and give some practical ideas on how to empower clients to have self-determination in matters of reproductive health by providing them with unbiased and accurate information and referrals. Webinar Two: Reproductive Justice in Social Work Practice — Watch the recording of this webinar by clicking here! What is reproductive justice (RJ) and how does it relate to our work as social workers? This webinar will give an overview of the reproductive justice framework and make the connection between this movement and various social justice movements that are related and integral to social work practice. The presenters will discuss how social workers can exemplify the Code of Ethics around social justice issues on the national level and provide ideas and examples of how we can promote RJ at the micro, mezzo, macro level. watch this webinar by clicking here! Regardless of the type of practice, social workers are in a unique position to be the first point of connection and support for clients who may be experiencing an unplanned pregnancy, which is likely impacting other realms of their life. Because social workers are many times already connected and trusted in the communities they serve, they are ideal agents for opening this discussion and equipping clients with the tools needed to take the next step. This webinar will discuss options counseling for clients on reproductive health options in relation to the NASW code of ethics as well as incorporate social work-related theories and practice models that compliment the options counseling model. #MacroSW twitter chat on #Ferguson Tonight! What do you think of the social work response to Ferguson? Are you discussing this with your colleagues, clients or community? The Washington Coalition of Sexual Assault Programs (WCSAP) is a statewide membership organization, based in Olympia, Washington and is committed to eliminating sexual violence and fostering social change. The mission of the Washington Coalition of Sexual Assault Programs is to unite agencies engaged in the elimination of sexual violence, through education, victim services, and social change. WCSAP provides information, training, and expertise to program and individual members who support victims, family and friends, the general public, and all those whose lives have been affected by sexual assault. The Supreme Court made blatantly clear its disregard for the rights and dignity of low-income families of color in three major rulings brought forth in recent weeks – Burwell v. Hobby Lobby, McCullen v. Coakley and Harris v. Quinn. All three rulings pose a unique but direct threat to health equity and reproductive justice for people and families in this country. Perhaps the most widely discussed of them all, Burwell v. Hobby Lobby, allows for-profit, religiously identified organizations to deny employees health insurance coverage for birth control. As Carole Joffe reminds us in her pointed take on the decision: despite the fact that contraception is widely thought of as a “women’s issue”, the truth is that it plays an enormous role in general family well being. As social workers, we can see the mammoth scope of potential impact that denying already low-wage workers coverage for birth control will have on families and as per the usual, low-income families of color will be hit the hardest. In their 2013 report, The Guttmacher Institute cited the negative impacts of unplanned pregnancies on adult relationships, including depression, and heightened conflict and the health benefits to children when births are spaced have been noted time and time again. Additionally, the report shows the ability of contraceptive access to play a role in breaking cycles of poverty and government dependency across generations, patterns often perpetuated by unintended pregnancies. SWRJ stands behind efforts to reverse the discriminatory and dangerous path being paved by conservative members of Congress and the Supreme Court in hopes that we, as members of the reproductive justice and health equity movements, may do our part to salvage the individual liberties and human rights that these very entities were established to protect.